She fancied herself part of a timeless chain without beginning or end, linked only by the silver strong words of its tellers. In the year 1841, on the eve of her departure from London, Bride's mother demands she forget her dead father and prepare for a sensible, adult life in Port Phillip. Desperate to save her childhood, fifteen-year-old Bridie is determined to smuggle a notebook filled with her father's fairytales to the far side of the world. When Rhys Bevan, a soft-voiced young storyteller and fellow traveller realises Bridie is hiding something, a magical friendship is born. But Rhys has his own secrets and the words written in Bridie’s notebook carry a dark double meaning. As they inch towards their destination, Rhys's past returns to haunt him. Bridie grapples with the implications of her dad’s final message. The pair take refuge in fairytales, little expecting the trouble it will cause. When Elizabeth Jane Corbett isn’t writing, she works as a librarian, teaches Welsh at the Melbourne Celtic Club, writes reviews and articles for the Historical Novel Society and blogs at elizabethjanecorbett.com. In 2009, her short-story, Beyond the Blackout Curtain, won the Bristol Short Story Prize. Another, Silent Night, was short listed for the Allan Marshall Short Story Award. An early draft of her debut novel, The Tides Between, was shortlisted for a HarperCollins Varuna manuscript development award. Elizabeth lives with her husband, Andrew, in a renovated timber cottage in Melbourne’s inner-north. She likes red shoes, dark chocolate, commuter cycling, and reading quirky, character driven novels set once-upon-a-time in lands far, far away. For more information, please visit Elizabeth Jane Corbett's website. You can also connect with her on Facebook, Twitter, Google+, Pinterest, and Goodreads. 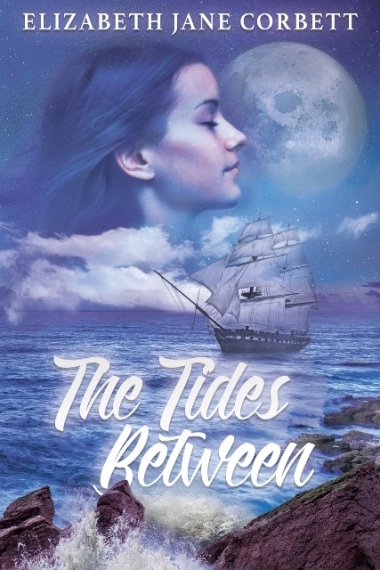 Thank you so much for hosting The Tides Between Book Blast!